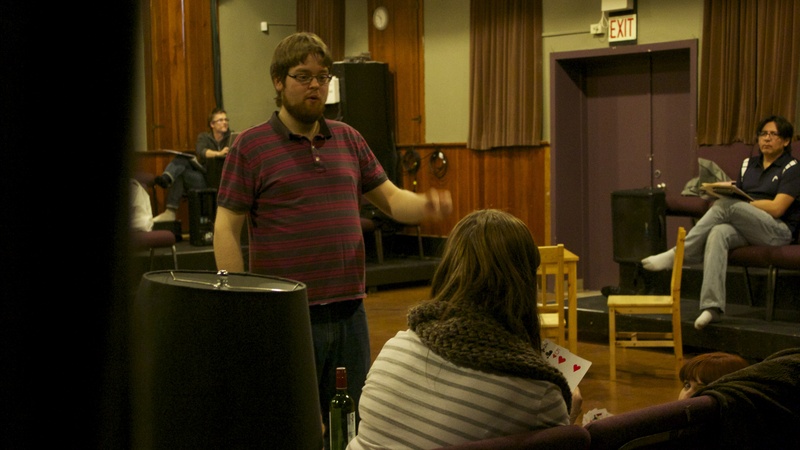 CHARLIE PETERS (Co-Creator/Director/Dramaturge) has a BFA in Acting from the U of S but works not only as an actor but also as a director of theatre and opera, playwright, dramaturge, lighting designer, and educator. In 2013 he won the SATAward for Outstanding Emerging Artist. 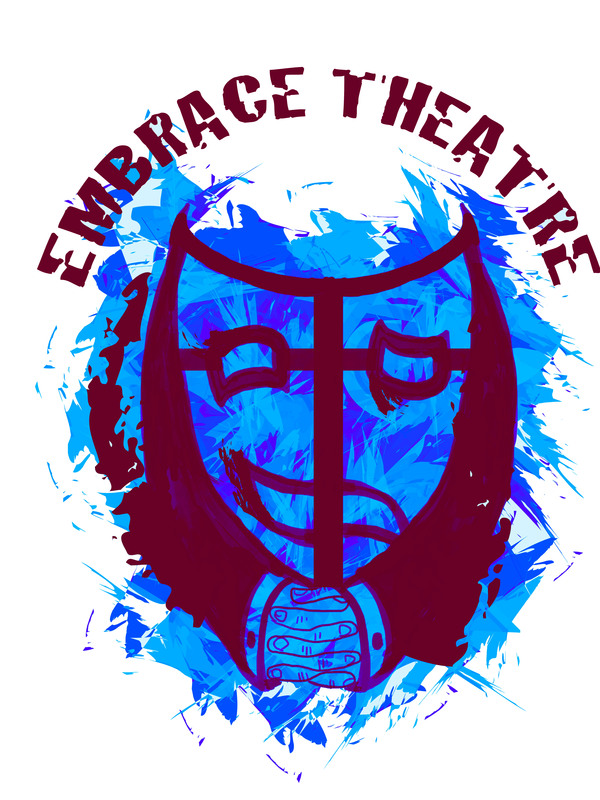 He is the Founding Director of Embrace Theatre (www.embracetheatre.ca), President of the Saskatchewan Playwrights Centre, a board member of 25th Street Theatre, and a consultant for Crossing Bridges: The Saskatoon Theatre Blog (www.saskatoontheatreblog.wordpress.com). I remember so many things! As a child, I spent a lot of time at Waskesiu Lake in Prince Albert National Park in the summer. My family would camp there on weekends – or for weeks at a time. I felt so much freer there than in the city. I could wander around without fear (although really, when the elk take over, it can be a bit scary). I am the fourth generation of my family to escape there for relaxation and that makes me rather proud in an odd way. 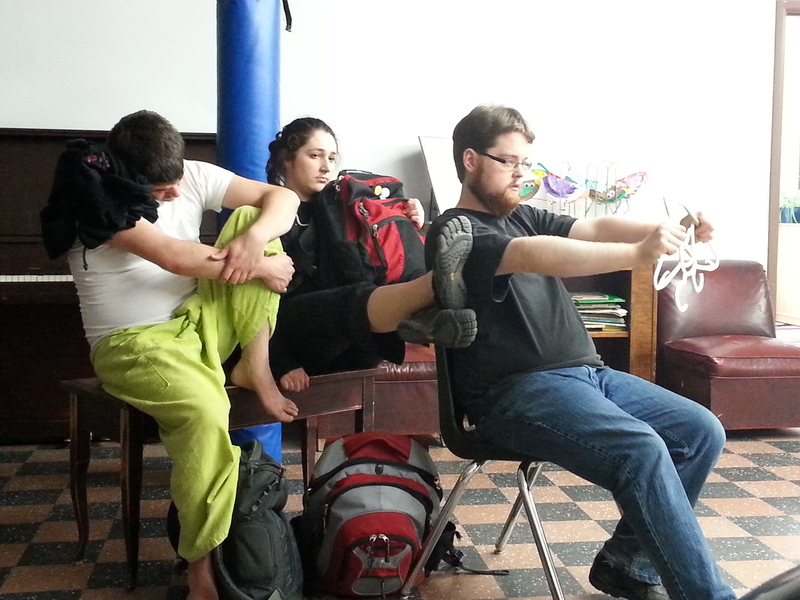 Chris, Emma, and Charlie improvising a scene. We are creating from scratch. It is both fun and scary to start with nothing but a vague idea of the route you will take, not knowing what it is you will come out with at the end. On the other hand, it has been very rewarding to let the stories people submit guide our work. They wrote it! It really is a story written by many, many people. It just happened to be filtered through the experiences and talents of five artists. On another level, it will be engaging: music, puppets, gags, and poetry combine. 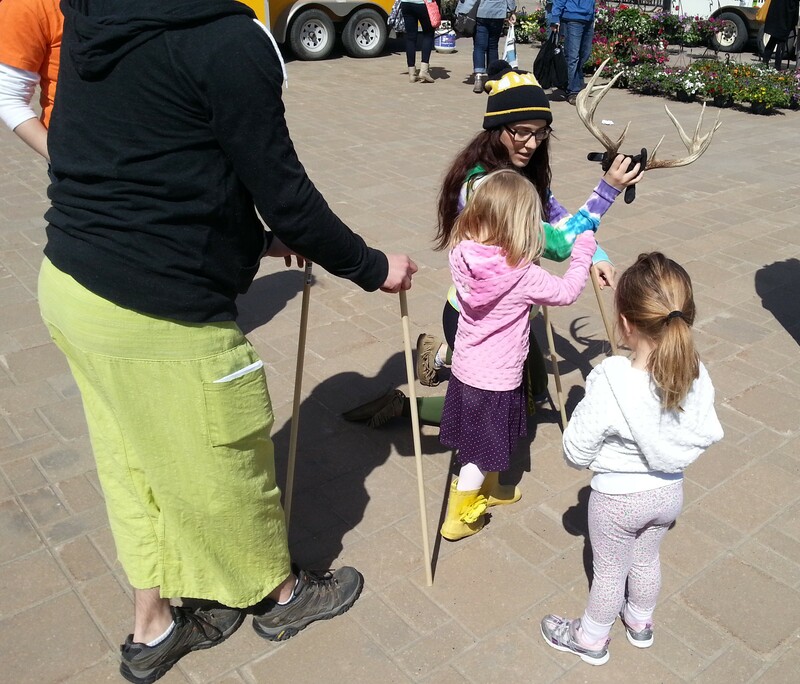 There’s something for everyone, for all ages. 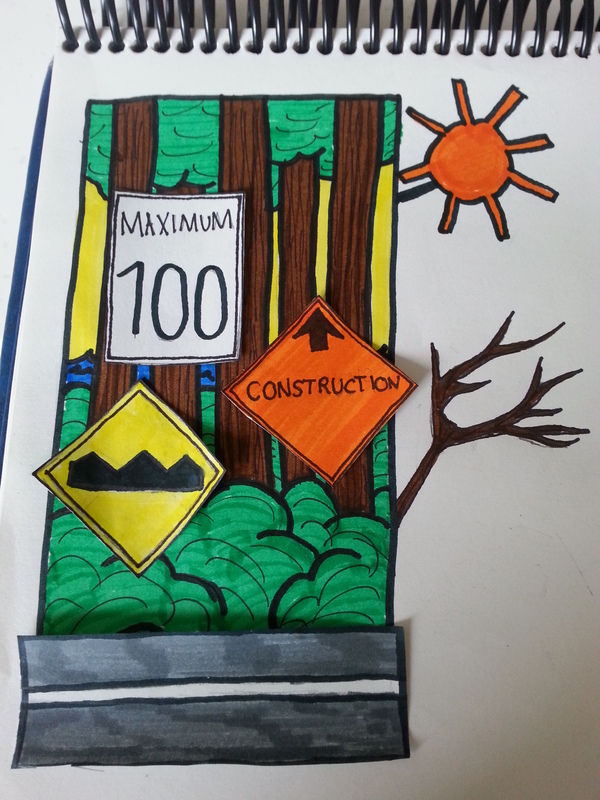 A design drawing for Saskatchewan Outdoors. Shelby was a participant of the Old Trout Puppet Workshop Banff Puppet Intensive in January of 2014. Spending summers camping at Round Lake in the Qu’appelle Valley with my family but especially with my mum. I didn’t appreciate it as a kid, but now I miss those days. I would love to be able to go swimming and read on a hammock everyday. Designing a show that needs to tour and be outside. Most theatres don’t have wind and rain to worry about. 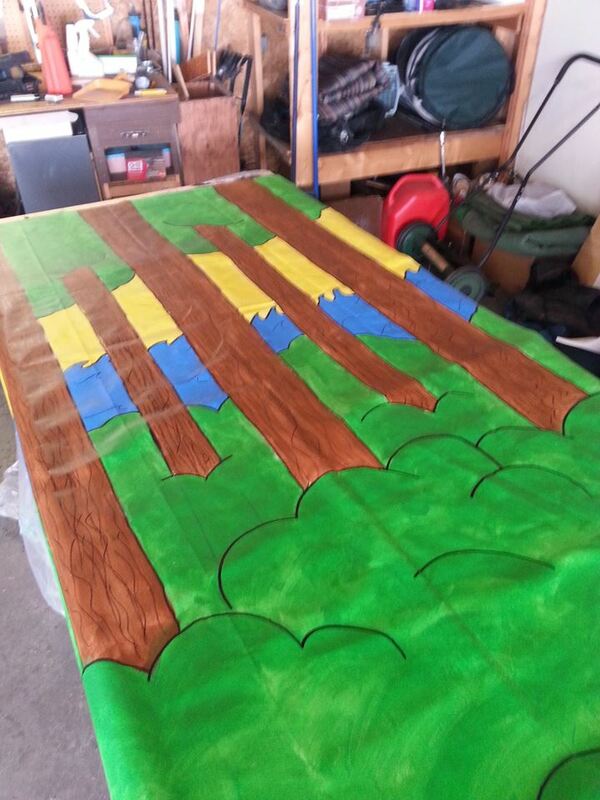 The backdrop for Saskatchewan Outdoors as it is being painted. Because it’s a show that everyone can relate to. I remember being a kid and not liking camping and being outside. I hope this show can really get kids away from their phones and computers this summer. I also hope that it will inspire more family vacations. As a person who comes from a fairly segregated family, I love seeing families that like each other and love spending time together. 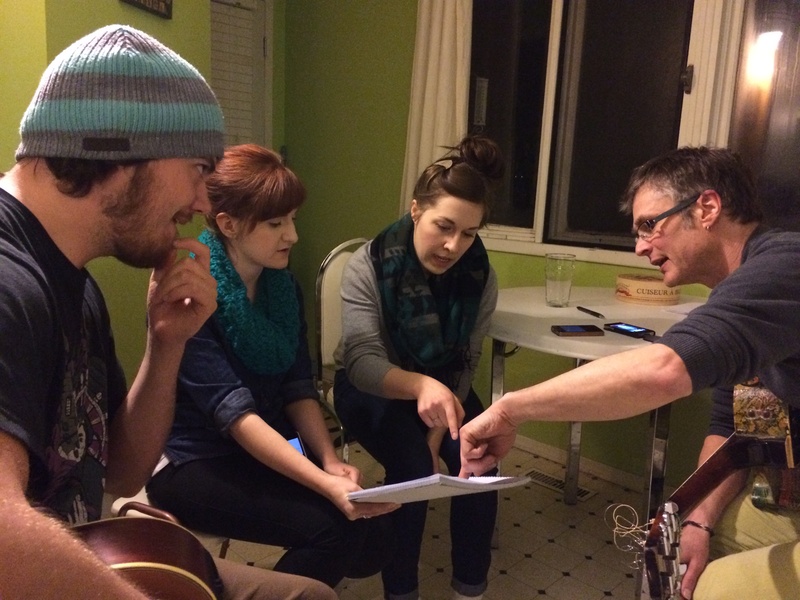 Jenna has had a wonderful time working with such a talented group of artists. Recent credits: Set design for the 2014 SaskTel Youth Tour (Persephone Theatre), La Chambre Blanche (La Troupe du Jour), A Man A Fish (Persephone’s Deep End Series), Salt-Water Moon (Station Art’s Center), The Frenzy of Queen Maeve (Bzzt Trap Door Theatre/Live Five, Live Lobster Theatre/Summerworks Theatre Festival), Into the Woods (Greystone Theatre), and assistant set design for A History of Breathing (Persephone’s Deep End series). Thank you to the whole Stop Kiss team for making this show exceptionally memorable. The clumsy and sweet first steps of love between Callie and Sara which everyone can recognize. We all search for ourselves, search for love, and do so messily. 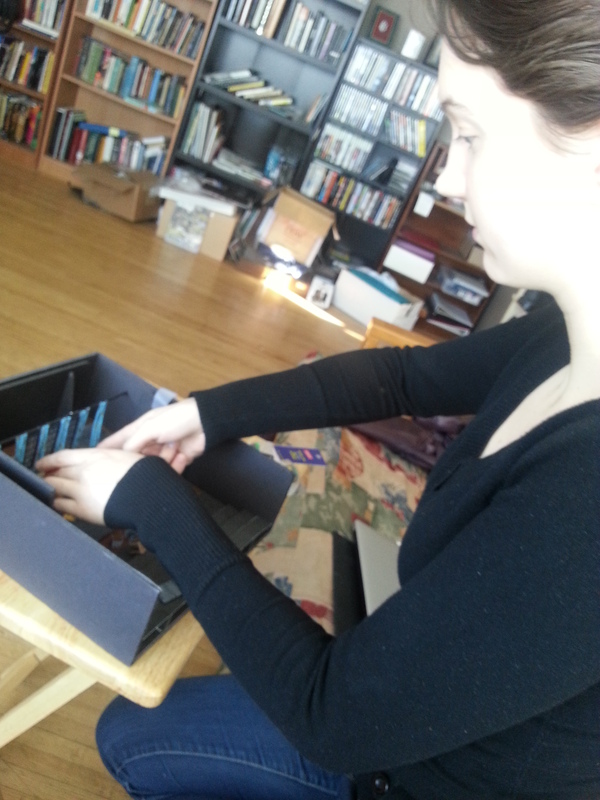 Set Designer Jenna Maren works on the Maquette (model of the set). The initial prep for a show is the best part of being a designer! This is when I read the script a bunch of times and do all kinds of (what may seem silly) exercises to dig out the design from the script. A playwright will leave breadcrumbs to follow, or sometimes whole loaves. My job is to find the best and most beautiful solution to the scripts needs for the particular production. I was very fortunate to sit in on a discussion that our community partners had after a dress rehearsal. They had insights into the struggle and the beauty of the LGBT community that were very valuable to a deeper understanding of the play. Our community partners are hosting The Afterplay, following each performance, which I would encourage everyone to stick around for. Gilles is super excited to be working with the beautiful Stop Kiss team on his first Live Five production. 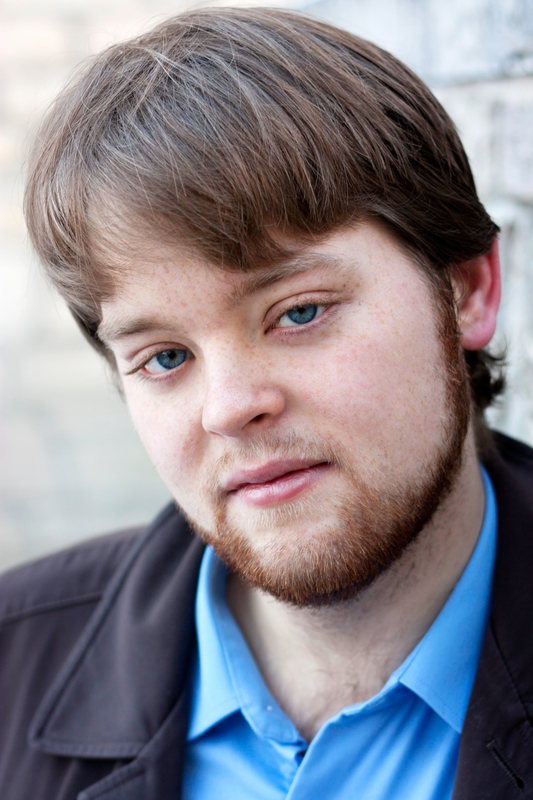 Since 2007 he has composed and sound designed over 20 theatre productions. This past season Gilles worked on My Chernobyl, A Man A Fish, The Black Bonspiel of Wullie MacCrimmon (Persephone Theatre) and La Chambre Blanche (La Troupe du Jour). 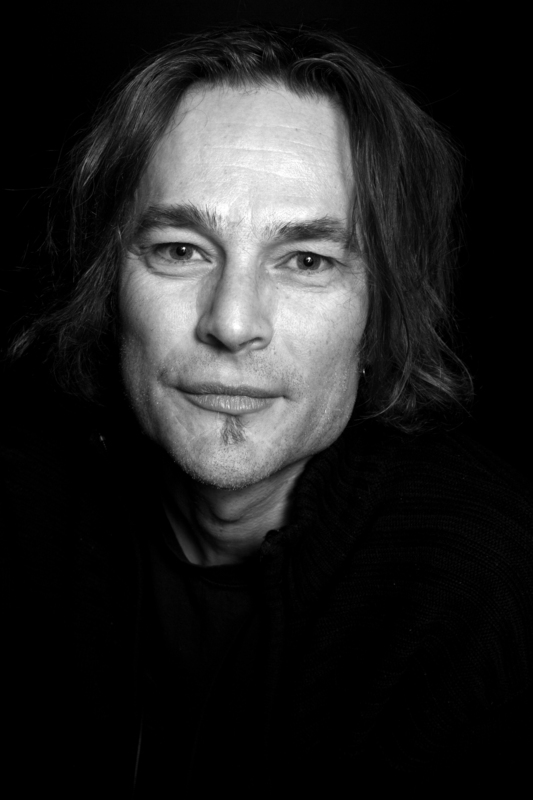 Gilles also has film scored several films and performs music as a solo artist. 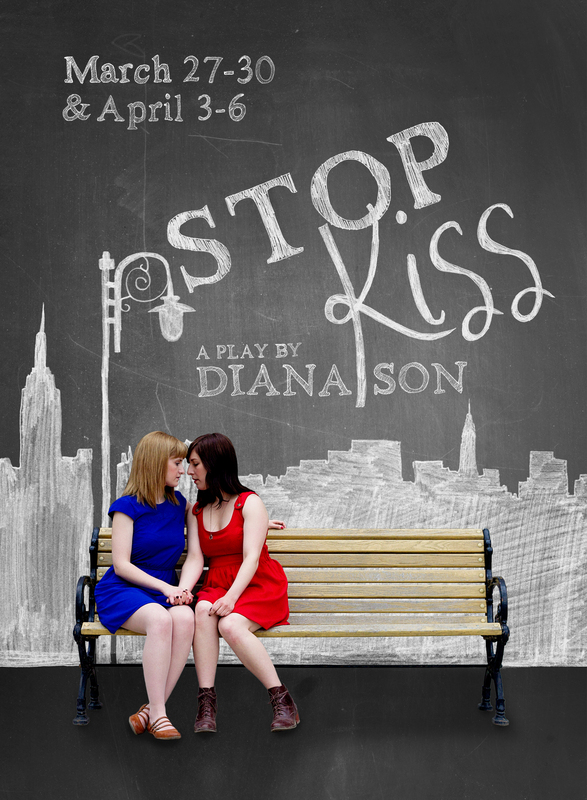 I love the fact that Stop Kiss manages to make me laugh and cry in a single breath. It’s messy, snotty and wonderful. Having family and friends that are victims of this kind of abuse makes being part of this show intensely important and moving. What do you do to prepare for your role (or for this production specifically)? I start by drawing/scoring from the script and Director’s vision but the true possession/engagement happens with actors and the rest of the design team. We are all a collective and being part of it is where inspiration lives. It been wonderful sitting in a few of the after-show talks listening to people stories and perspectives in Saskatoon. 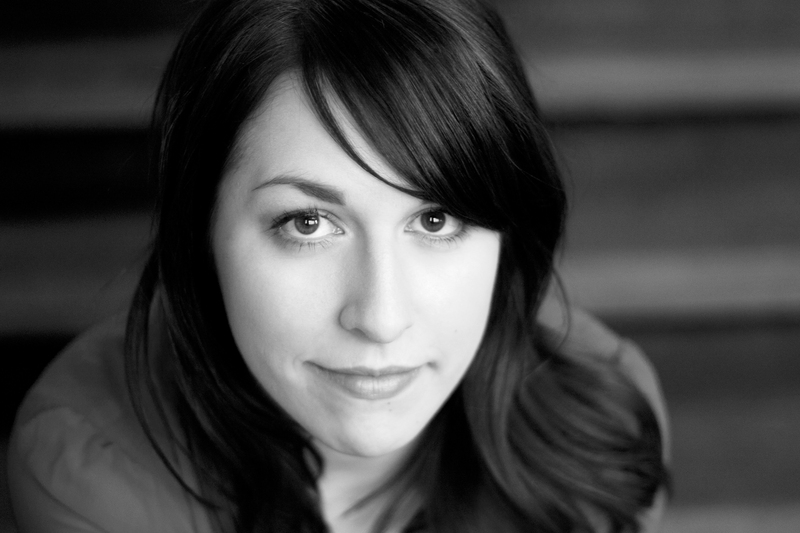 Jenna-Lee is a born and raised Saskatchewan theatre artist based in Saskatoon. She is a graduate of the Globe Theatre Actor Conservatory, and holds a BFA in Acting from the University of Saskatchewan. 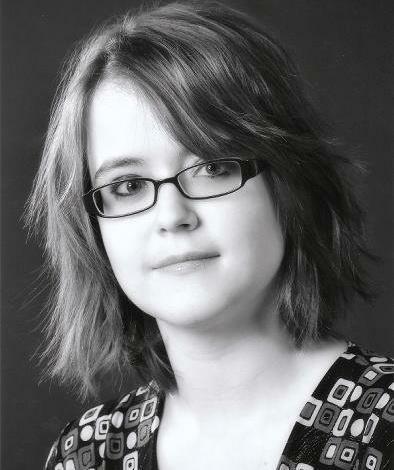 Jenna-Lee also co-hosts Mom, I’m a Thespian on CFCR, a radio show dedicated to local theatre. Recent theatre credits: The Cherry Orchard (Live Five/Theatre Naught), Bah, Humbug (Dancing Sky Theatre), Comedy of Errors, Macbeth (Shakespeare on the Saskatchewan), Look Back in Anger (Brick and Mortar Theatre), Pride and Prejudice (Globe Theatre), King Lear (Theatre Naught), A Christmas Story (Persephone Theatre). Upcoming: Short Cuts Ten-Minute Play Festival. 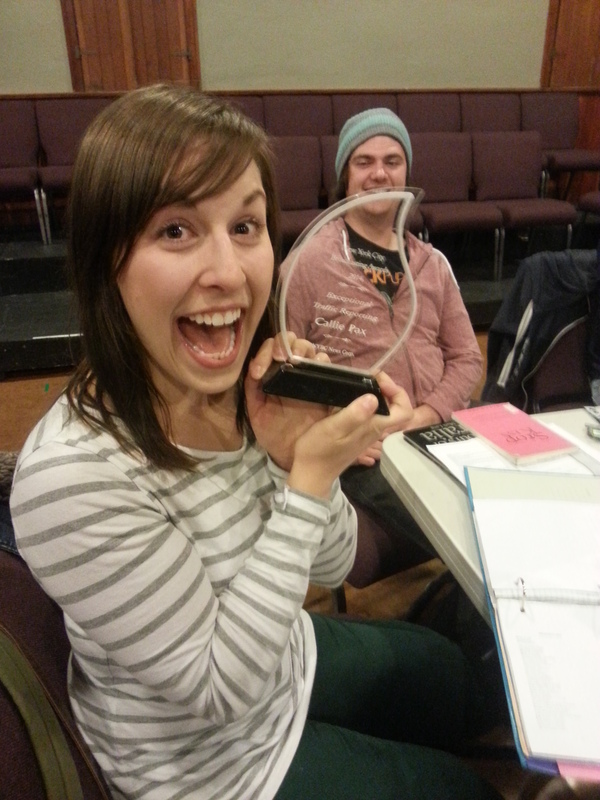 Jenna-Lee recieves an award… well, a prop one! “Every role is so different that I find my preparation often changes. It’s like trying to find your way out of a maze. Left, left, right, left, right may have worked last time, but this is a different maze! You’ve got to figure it out brand new every time. This means lots of mistakes and getting lost (and maybe some flailing and crying) but eventually you find your way. Or else a helicopter comes and gets you. In this case, the helicopter is the director. 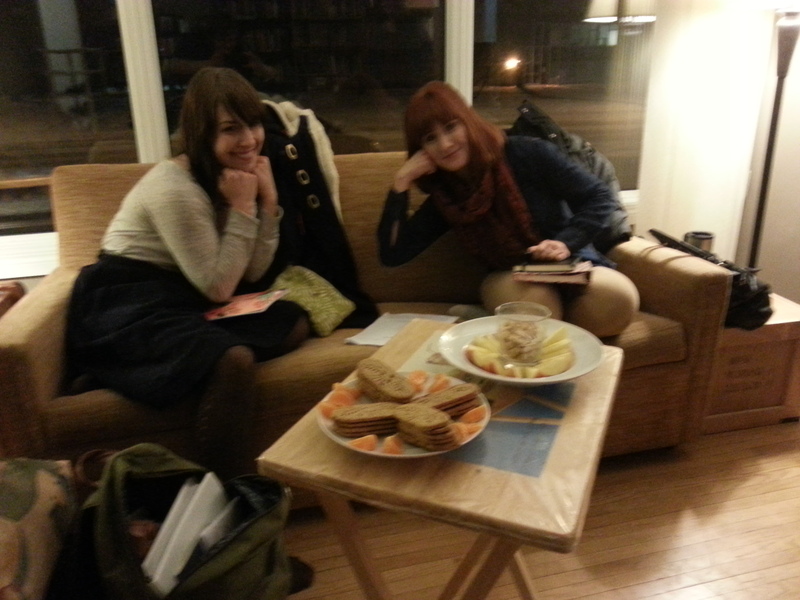 Jenna-Lee and Angela before a company meeting.